As the leading ID Card Printer manufacturer, Zebra provides a wide selection of printers to choose from to meet the needs of any application. The ZXP series of printers come in options for the most basic static card printing to high-volume secure government issuance. Knowing exactly which printer is the best fit for your needs can be a challenge when just looking at specs and brochures. To make the process easier we have this simple chart to help narrow down what model printer has the key features your specific application with require. For additional assistance finding the right printer for your needs, contact us at BarcodesInc. As a leader in card printing technologies, Zebra is always raising the bar in printer performance and capabilities. The newly announced update to the ZXP Series 1 and ZXP Series 3 printers includes the Zebra Windows Driver Version 5.01, a new unified driver supporting both printer models. It provides Microsoft Windows 8 and Windows Server 2012 OS support with an expanded common matrix of Microsoft client server printer sharing support. The new driver will also provide white monochrome ribbon support for the ZXP Series 1. Driver Version 5.01 is posted on www.zebra.com for download. For any assistance on or to order a ZXP Series printer, contact us at BarcodesInc. Zebra’s new ZXP Series 1 is their most cost effective solution for entry-level, low-volume card printing without sacrificing print quality. Designed as a replacement to the P110i and P120i lines, the ZXP Series 1 can print in full color and monochrome for professional results with a minimal initial investment. A compact footprint allows the ZXP Series 1 to fit in the tightest workspaces. Its compact and durable design, and advanced network printer management software tools, makes the ZXP Series 1 a perfect for multiple small office installations, or large deployments of distributed card printers. 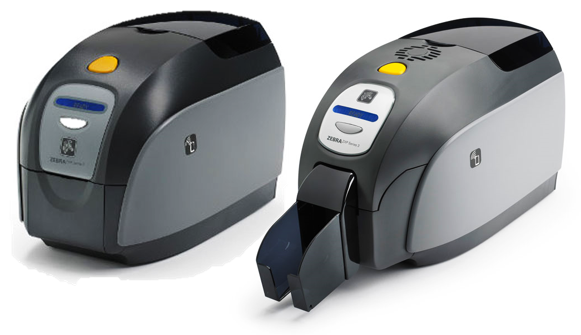 Zebra recently announced the launch of their new foray into the ID card printer market, the ZXP Series 7 Printer. This new printer is built for performance, productivity, adaptability and cost efficiency, and will ultimately replace the legacy P330i, P430, P630i, and P640i. 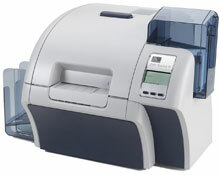 The ZXP Series 7 printer is built to meet all the needs of today’s demanding business environments. 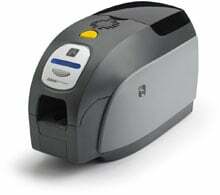 Reliable and durable ID card printers tend to be around so long, they almost become part of your family. The difficult part is trying to find a replacement when the printer has finally run its course. For those of you who are finally parting with your Fargo Persona C30e, we have a suggestion for you. 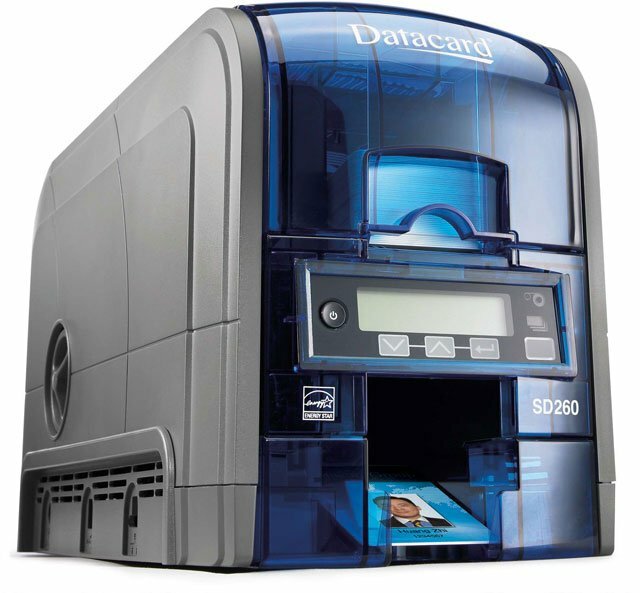 The PersonaC30e was a simple, reliable and affordable ID card printing designed for everyone who wants to make great-looking plastic ID cards on a budget. 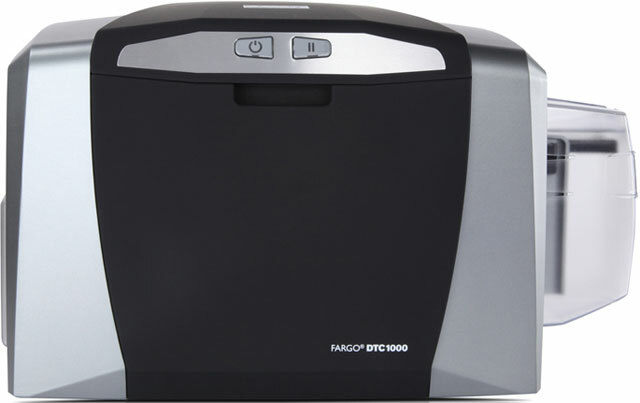 Fargo can now offer an updated model DTC1000, which still offers great quality at a low price. 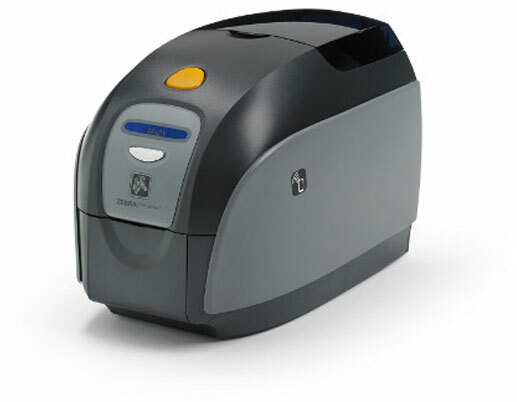 The model offers single-side or dual-side printing, USB or Ethernet connectivity, and a variety of encoding options including magnetic stripe. Shop our huge inventory to find the right printer for you. For more information about ID card systems, contact us at BarcodesInc.